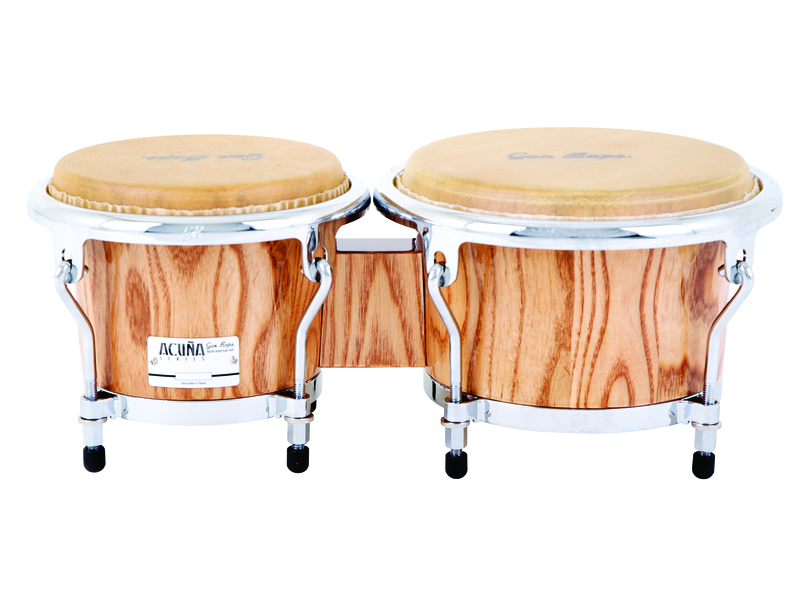 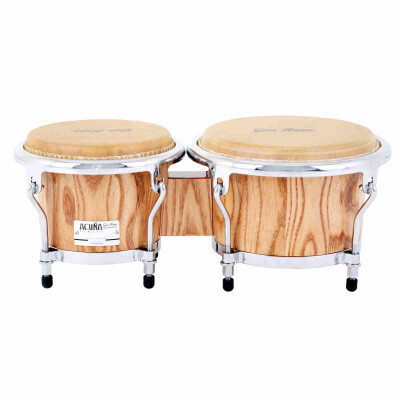 Crafted from select North American Ash, Alex Acuna Signature Bongos offer exceptional warmth, clarity and versatility. 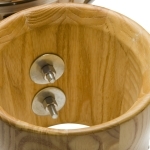 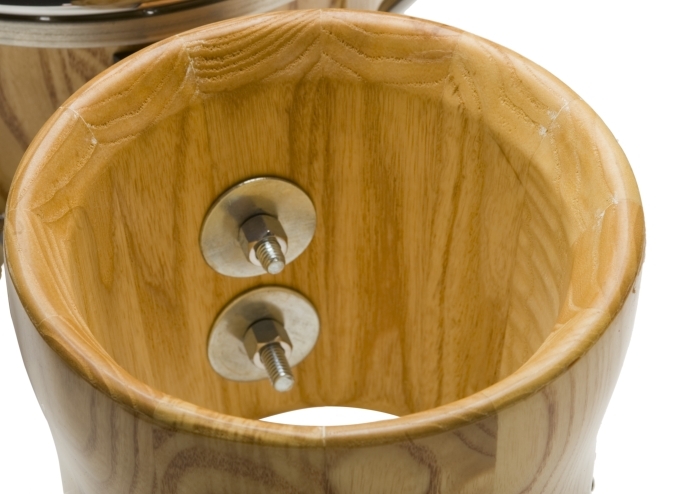 Tight-profile hardware means they are easier on the knees when played traditionally. 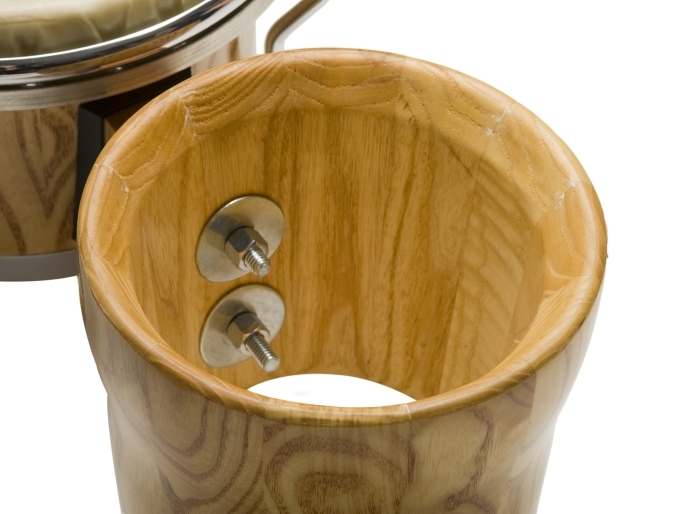 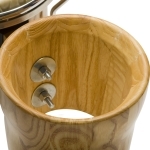 Classic Gon Bops teardrop crown hoops add legendary quality and feel, while smart, traditional welded bottom ring eliminates cup washers for extended tuning range.